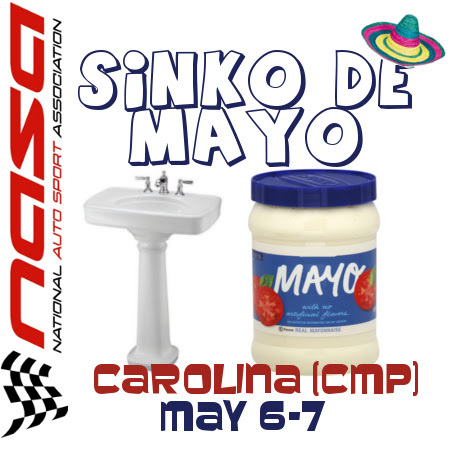 Changing brake pads prior to the two day High Performance Driver Education this coming weekend in South Carolina, the "Sinko de Mayo"! In part one Brian and I changed the front pads, (OK, Brian changed them and I supervised) along with an upgrade to DOT 4 brake fluid. Today I managed to do the rear brake pads myself, with the extra special bonus of buying a new tool! More importantly, I learned why I needed this tool, thanks to a quick search for an instructional video on line. Safety is important in anything you do with a car, either driving or working on it, so I used two jack stands under the rear of the car. After taking off the rear wheels, I just needed a 13mm wrench to remove the FIAT brakes, with two bolts on each brake. The old brake pads were worn a bit, but not down to almost nothing like the front pads. All cars use more braking in the front, something about the laws of physics applies to this, so I probably would have been fine with the rear pads. But, I figured why not have a full set, all new pads and fluid, so that the two days on the track will be safe. After putting the new pads in place, I had to push the piston back into the brakes, so I learned the hard way that many cars have rear brake pistons that rotate. In other words, you need to rotate the piston as you push it back in, unlike the front where a big old "C" clamp will push that baby right back in. After a quick trip to the auto parts store, and spending approximately a dozen dollars, I had the right tool! It looks like a little dice, and just snaps on your 3/8 inch socket. From there, you just ratchet that evil piston back into its underground lair where it should be, and then bolt up the brakes. Hey, I even did a test drive to make sure the brakes worked, and lived to tell the tale. After checking the brake fluid, I think I'm all set for Carolina Motor Sports Park this weekend. The Tool of the Day!